This is a pouch style case that allows the user quick, easy access to the phone. It is constructed using our custom made high-density foam material. Side panels are made from heavy-duty elastic, thereby ensuring a solid secure fit. Attachment systems consist of a snug 2” Belt Loop and a flexible plastic clip that sits above the loop. The Flexiclip can be slipped over the belt, waistband or into a pocket. This case is also offered with the Krusell Multidapt System. 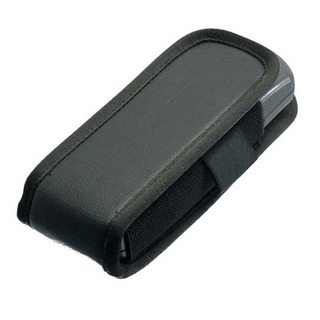 The CP6 case fits many of the small cordless phones on the market today, two-way radios as well as some IP phones.